Mumbai, April 1: YouTube sensation Lilly Singh finds actor Ranveer Singh as "crazy" as herself. The two stars met and rapped together, and shared some of these moments for their fans on social media. 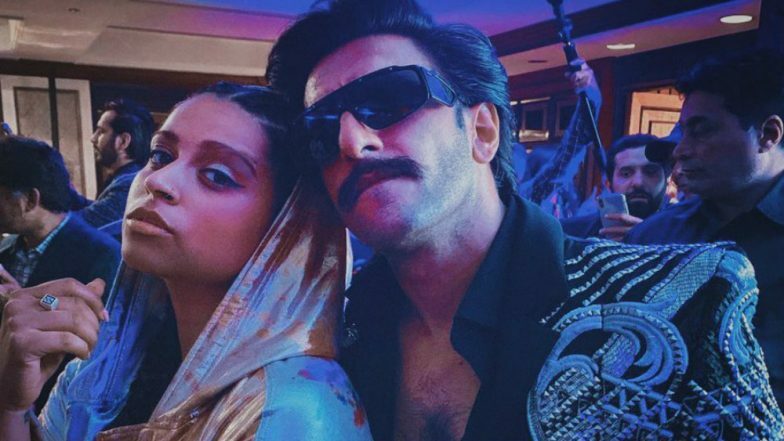 Lilly, popular as Superwoman, tweeted a photograph along with Ranveer and captioned it: "I never thought I would meet someone as crazy as me... and then I met Ranveer Singh. Obsessed. Such vibes." Priyanka Chopra’s BFF Lilly Singh Aka IISuperwomanII Comes Out As Bisexual Publicly! Check YouTuber’s Tweet. She shared a video in which Ranveer is seen rapping lines from his film "Gully Boy", in which he plays a street rapper, and Lilly is seen with him. "That one friend who doesn't know the lyrics... Ranveer Singh," Lilly wrote. Lilly has over 14 million followers on YouTube. She has authored the bestseller, "How To Be A Bawse", has a role in HBO's film adaptation of "Fahrenheit 451" and in 2017, she topped the Forbes Magazine Top Influencers List in the entertainment category.